We have a big sink, but our faucet is not well suited to it. 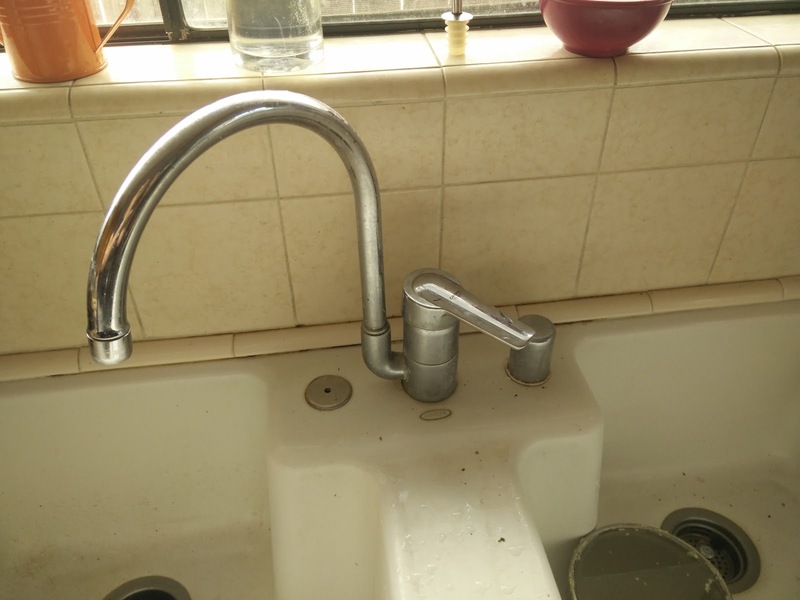 The faucet has a relatively short reach and and it is offset to the left due to the design. 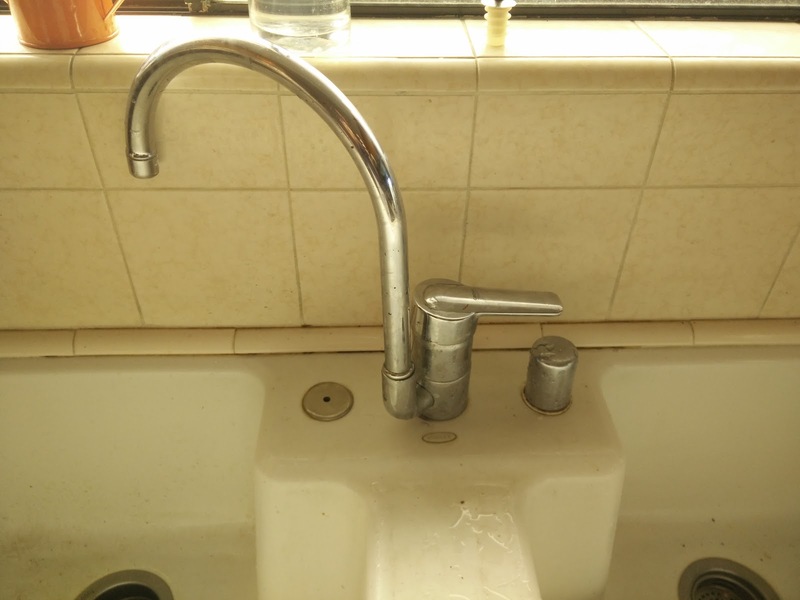 It is usable in the left basin, but it barely reaches the right. 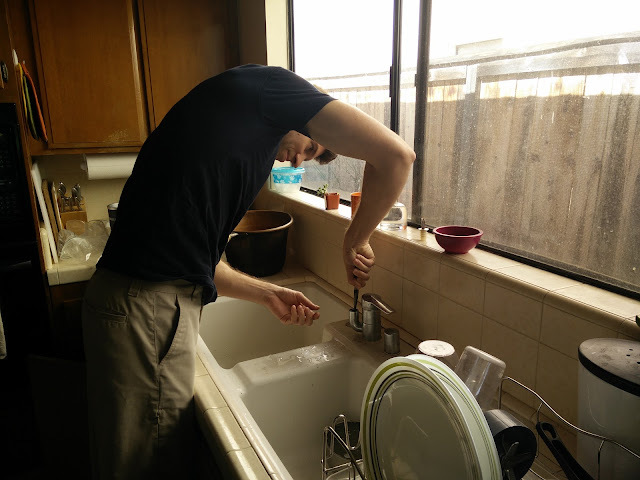 Rather than spend money on a new faucet, I decided to try and optimize our current one. 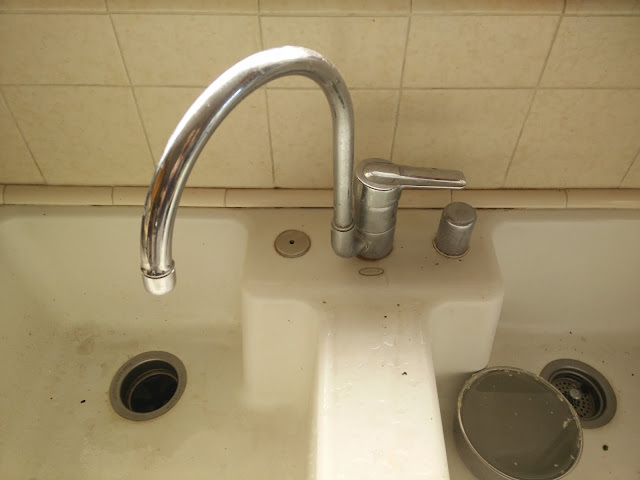 My idea was to rotate it counterclockwise 45 degrees, putting the spigot about an inch further forward and to the right. 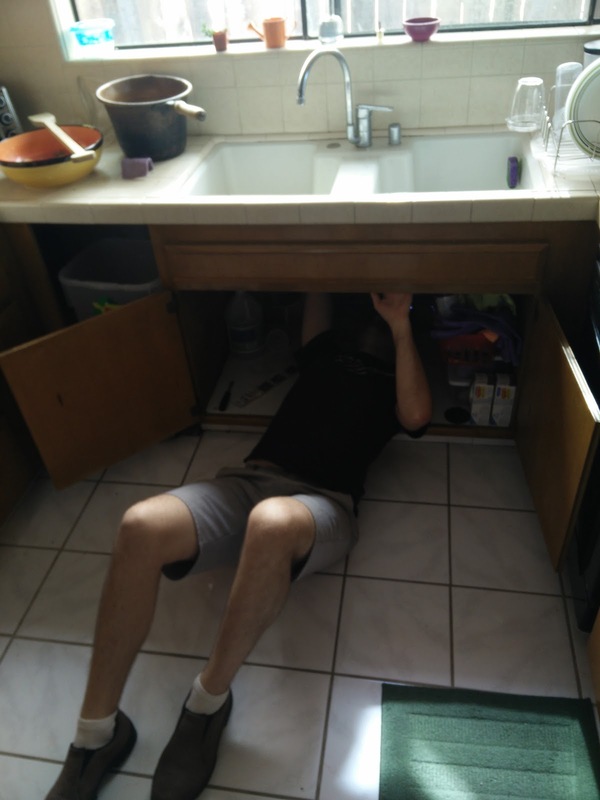 On first inspection, I wasn't able to figure out how to loosen the faucet, then I RTFM online and it was quite easy. 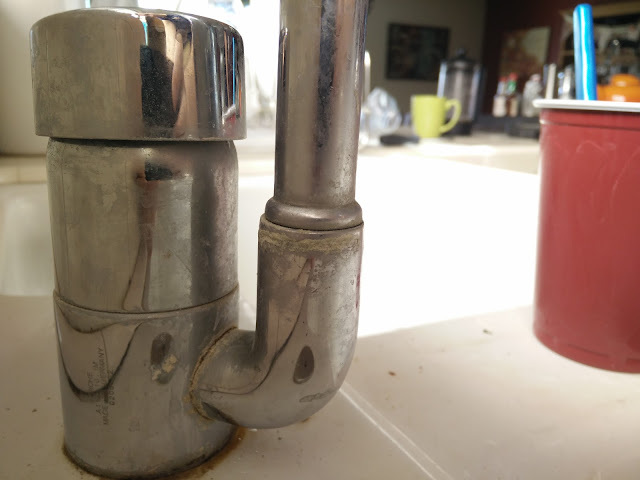 With the whole faucet rotated, we thought we were home free, but we ran into one small problem. The rotation of just the spigot was limited and couldn't cover the back of the left side now. After consulting the manual again, it turns out the part limiting the rotation can be removed. To remove that part, we had to take off the spigot, which was held on by a clip that was invisible due to calcification. With the help of some CLR, we forced the clip out and yanked the spigot out. My brother helped with this project too, and we both struggled to get the target piece out. After messing with it for a while, I soaked it in CLR in case it too was calcified in place. 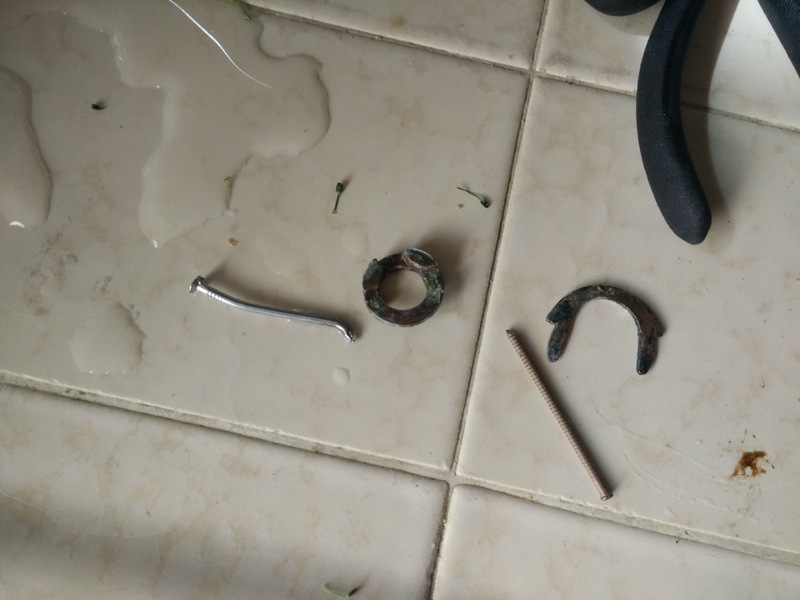 Eventually, we pried it out with the help of a bent nail. After getting everything back together, we have a rotated faucet with a freely rotating spigot. The change is subtle, but the functionality is definitely improved.